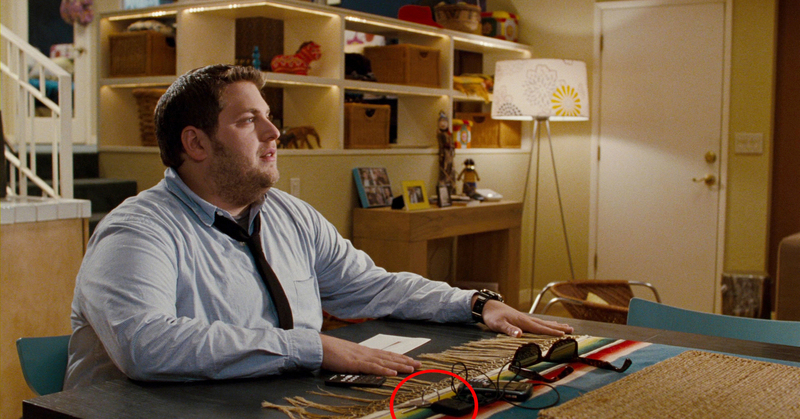 Aaron Green's (Jonah Hill) Car Keys from the 2010 comedy, Get Him to the Greek. 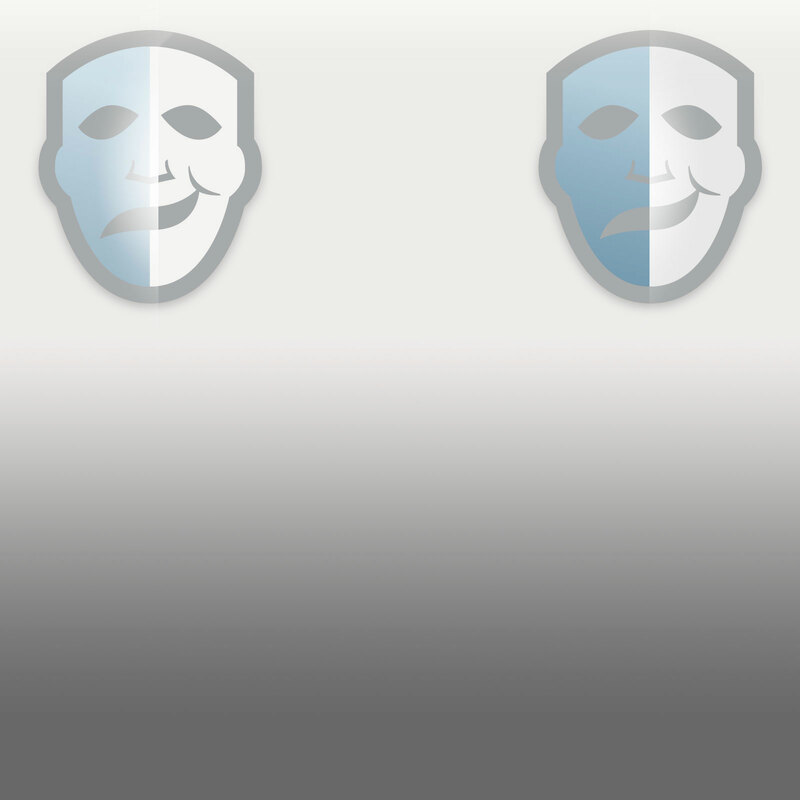 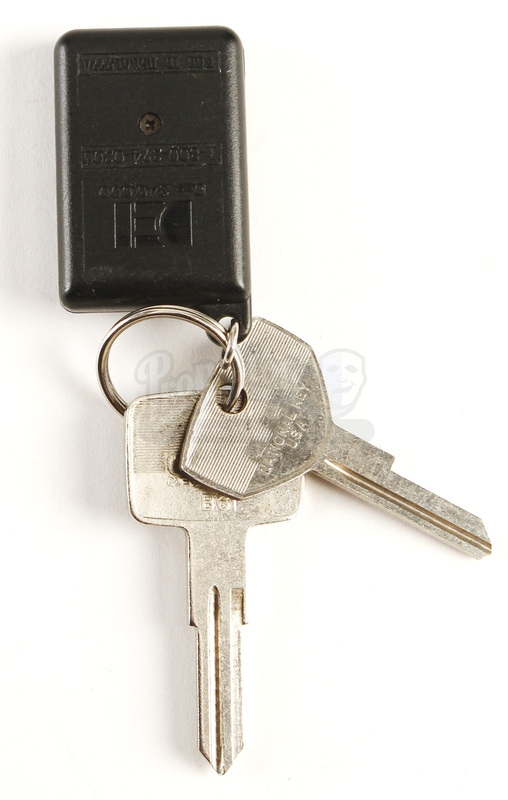 These keys can be found in a couple of scenes. 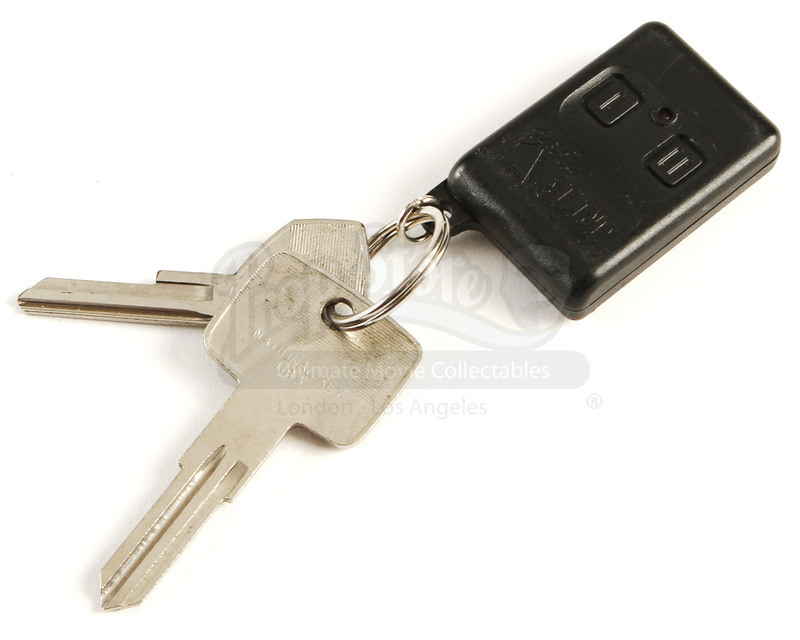 The first time they are used is when Aaron leaves for work and uses the key fob to unlock his car, and seen more clearly a second time on a table during a brief scene when Aaron asks his girlfriend Daphne (Elisabeth Moss) if she would like to go to a concert with him. 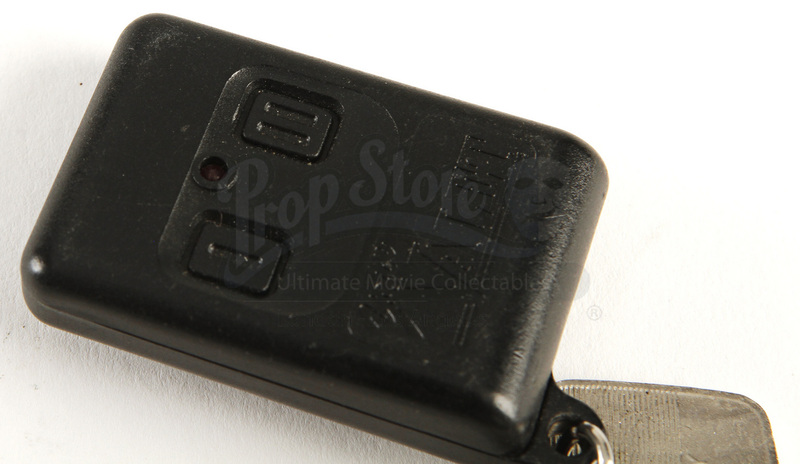 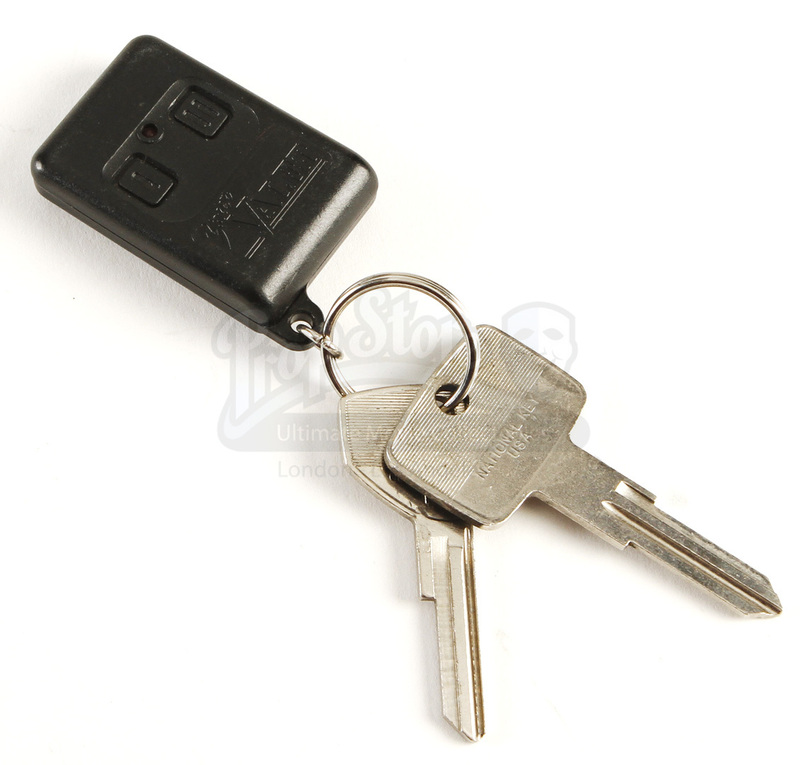 This set of keys includes a black 'Your Valet' key fob with two working buttons and a red LED light, and two long silver colored car keys. 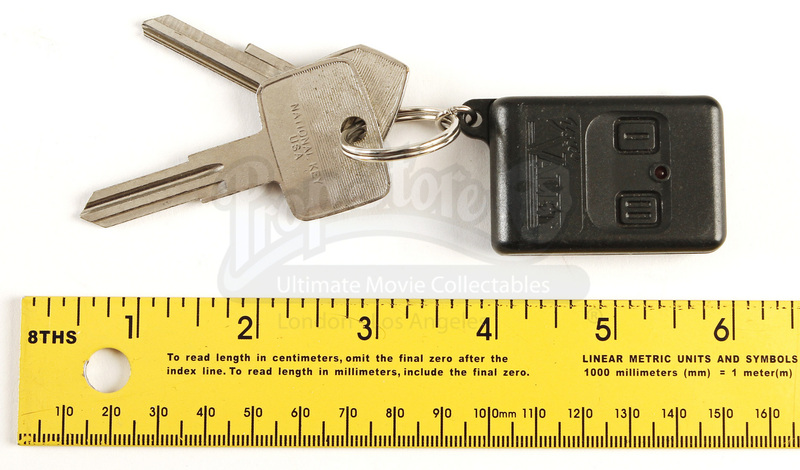 The longest key measures approximately 2.5" x 1.5" (6cm x 4cm). 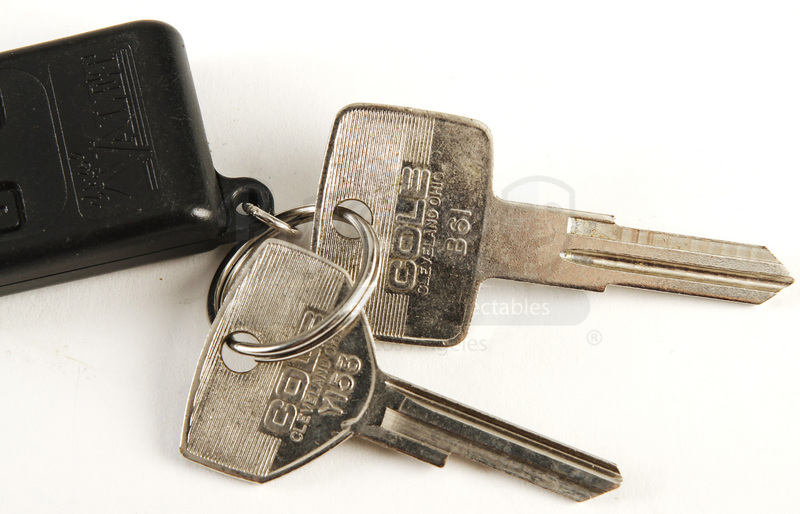 The car keys are in excellent condition.